It's getting on for midnight, so here we go with a new Magic Monday. 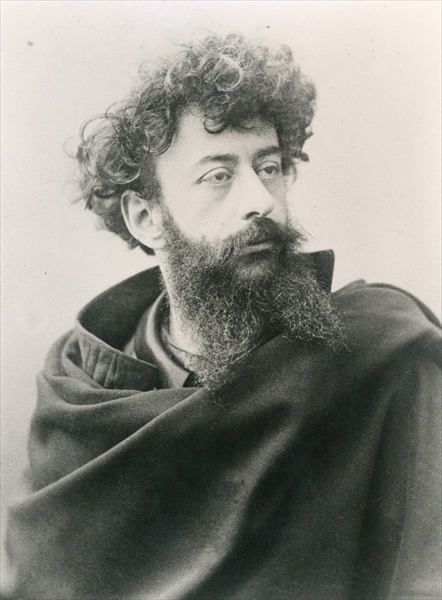 The picture is of Joséphin Péladan (1858-1918), the extraordinary Rosicrucian art critic and magus of the Decadent movement, whose masterwork How to Become a Mage will be out next year in a new English translation. Ask me anything about occultism and I'll do my best to answer it. Please note that this Magic Monday will be closing early because I want to celebrate New Year's Eve without having to hover over this journal. Any question received by 10 pm Monday Eastern time will get an answer, though it may be Tuesday sometime before I get to them all.